12-Volt MightyKool Options shipped to the lower 48 States. 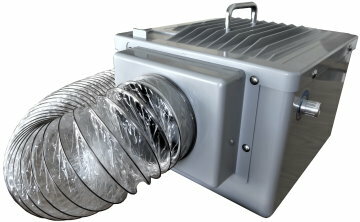 Any Option ordered will be sent with no shipping charge when ordered with one of our cooling systems at the same time. An $18 set of 2 Smart Cooling Filters should be ordered with a new MightyKool to have them on hand, as they are the reason a MightyKool possesses superior cooling using water only. The Smart Cooling Filter automatically regulates the water depending on humidity resulting in perfect evaporation instead of using a pump like most all other evaporative coolers, which may supply too much water on humid days and not enough on dry times. The Cooling Filters sent later without the K2 is $30 including S/H. The $19 Converter converts 110/120-volt (house power) to 12-volts so a MightyKool may be used in your home, office, garage, most anywhere without 12-volt power. 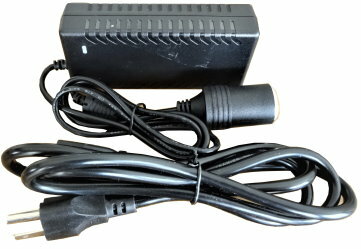 The Converter sent later without the K2 is $31 including S/H. The purpose of the Hose attached to the MightyKool Model K2 is so that fresh air may be brought in to the K2 so that maximum cool air may be obtained. The Hose is fitted on the square Intake Housing that we install at the Factory on the model K2. The 4" X 7 foot hose is easy to attach or remove from the housing. This option sent at the same time as purchasing the K2 is $59.00, otherwise is $71 including S/H. 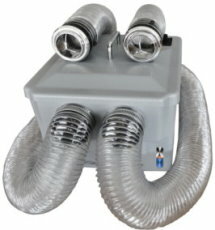 The optional Flex Hose Kit (left) is used when it is difficult to have a MightyKool close enough where the cool air is needed or to cool in two different places at the same time. Comes complete with two 7 Foot x 2 1/2" Flex Hoses & attachments needed for $59.00 when ordered with a MightyKool Model otherwise is $71.00 including S/H. 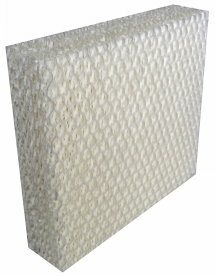 This option is normally vital in moving Vehicles or for Pets in Kennels or Cages that are not together. Fits the K2 & MK3 the best.